Flame Writer: My First Award! 4. Nominate ten people for the award. And notify them that you've given them an award. Just kidding. Here you go. 1. I tell a lot of people I can sing to some Japanese songs. Truth is, I only THINK I can. I look up the Romaji and follow it as closely as I can. I CAN ‘sing’ them and (from looking it up) know what I’m saying in English, though. 2. Whenever I’m coming up with new arcs for my stories, I act them out. Usually home alone, because I’m up and walking/running, having conversations with myself. My cat is usually annoyed by this. 3. Once upon a time, I told myself I would NEVER have a dirty mind and that I would NEVER curse. Now, well, my mind lives in the gutter and I could keep up with a sailor. 4. I’m afraid of mirrors to an extent due to the Bloody Mary legend. I can’t be in a room with a mirror while the lights are off, or I start to panic. 6. I can’t stand ANY kind of bug. The only insects I can handle are butterflies and willy-worms. Sometimes not even them. I’ll tell you what; it’s hard to go catching fireflies when you’re trying to do it without touching them. 7. Lately, when I write, my favorite subject material is killing people. Hence why my main WIPs haven’t gotten much done on them—I can’t be killing off my main characters! Thanks for the award, it's very kind of you. I've had this award several times before, though, and I've run out of random facts! BTW, I kill off my main characters all the time! Darn! I tried to make sure those I chose hadn't gotten this award before. I must have missed yours. Sweet. Thanks, and nice to meet you. I'm on a vacation right now, so I'll try to remember to mention this award when I get back home and start up the blogging again. This has been a hot week. We have a reprieve here in MN which is great since we're at a cabin for the week. Aww shucks! Thanks for the award! I have had this once before as well, but that is okay. I don't mind getting it again. 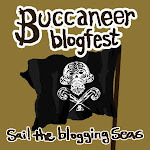 I'm now a new follower to your blog! And I totally have to agree on that mirror thing. Bloody Mary is a horrible urban legend and it scares the pee outta me... lol! Have a great weekend! Wow! Thanks for the award=) I've had this one too, but like Mel said, I don't mind getting them=) It's always nice to connect with other bloggers and writers. @Mary: The hot weather has been INSANE. Alrighty though, just whenever you get to it! Enjoy your vacation! @Mel: Augh, I keep missing the people I thought hadn't gotten it. Isn't the Bloody Mary legend just awful? ._. You have a good weekend too! @Kathleen: It's so much fun to act them out! It's a bit weird playing a bunch of characters at once...but you know...who cares? :D Haha! @DL: Not a problem! Thank you for being an awesome blogger! 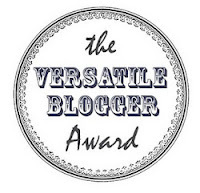 Just checking to see if the award is showing properly now over at my blog? @Kela: I know!! So many comments~ I don't mind mirrors if the lights are on. But if they're off I can't stand 'em. Thanks so much for the award. Sorry it has taken me so long to post about it but I'm going to today. I don't like spiders, but ladybugs and grasshoppers are ok.